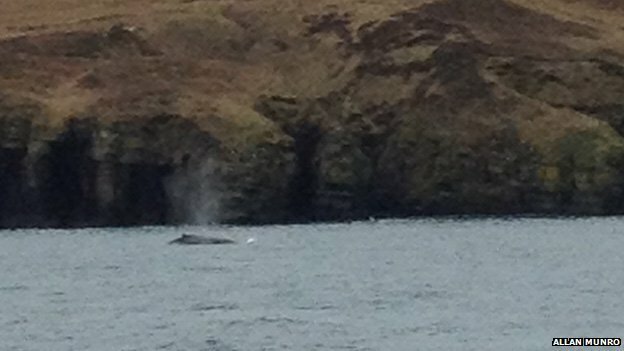 Thanks to Caithness Sea Watching, I know I was not imagining things when I saw what looked like a humpback through the binoculars yesterday. There were two reported. At least, it did not end-up like a previous time whales strayed into Thurso Bay. One of the justifications given by the big boys at the Barclays Group when Bob Diamond became Chief Executive in March 2010 with the promise of considerable incentive compensation on top of his annual salary of £12 millions, was that his bank had weathered the financial crash and did not have to seek-out Government funds. Even though it later was admitted that their healthy balance sheet was helped in no mean part by Government cash-injections, it appeared that they had behaved prudently during the boom times. Pasty-faced old anarchist, Francis Sedgemore displays unerring chivalry towards the Chairman of the Conservative Party. Matters have moved on, though. The report he links to was when the allegations against Sayeeda Warsi were only claiming expenses on a property in which she was residing rent-free. What recipes are there now? Despite what the Prince Across the Water, David T may have said, pirates are not cool. They do not have the slightly epicene-look of Captain Jack, but are ugly buggers; and menaces to international shipping and ordinary passersby alike to boot. As non-state actors, it often can be expected that there will be a domestic judiciary and reliable system of rule-of-law to monitor and restrain them. As such, I would hope there is a supra-national framework which exists to try those involved with piracy and brigandage. Fortunately there is. For the first time in three centuries, a pirate trial has opened in Europe. Twenty two Somali pirates who boarded the Germany registered MS Taipan off the Horn of Africa in April are facing up to 15 years from a Hamburg court. The failures surrounding the detention of minor insurgents, hard-core jihadists and Brummie tourists seeking the perfect roti at Guantanamo Bay were myriad. 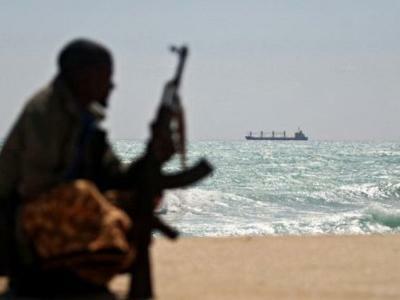 Legislation against piracy and brigandage existed beforehand, and could have provided a more convincing framework for dealing with such attacks on international shipping and operating from unofficial statelets. The principal benefit of this would have been to avoid the legislative quagmire which was the ex jure status of Guantanamo Bay: although not stroking the egos and wallets of otherwise mediocre QCs and even more common lawyers would not have been unwelcome. Whatever happens as a result of the Hamburg trial, German courts should soon be considering other cases. Just as these raiders found an apparently deserted ship (the crew were secure in a panic room), followed by a helicopter-raid by Dutch Marines who quickly subdued them, another pirate crew attacking the MV Magellan Star in September was promptly apprehended by US Marines. On finding the deserted ship, these latter pirates made a satellite call to the headquarters of the shipping line in Germany, demanding to know where the crew was. German operators informed them that the crew was on leave. And laughed. With such overt threats to their own citizens and business interests, European politicians and legislators may be more sympathetic to the US court system which also is trying pirates as pirates for the first time since the USMC marched to the shores of Tripoli. Abdiwali Abdiqadir Muse, the sole surviving member of the pirate crew which attacked the MV Maersk Alabama in September 2009 is awaiting sentencing following his trial in New York. When writing about the Korean peninsula, I prefer to avoid referring to the lacunae of interest in it from the screaming-at-mice brigade who spend every waking moment working themselves into states of near-sexual fury at one side in a regional conflict at the eastern end of the Mediterranean. After, however, watching the continued slanging-match on a Facebook fanpage for Pete Seeger – in which, amongst others, he has been called senile for agreeing to playing in an online concert by The Friends of Arava Institute – I will make an exception, and express a wish that they all be pelted to death with marshmallows (oh, please do not tell Yasmin Alibhai-Brown). Seigfried Hecker, an engineering Professor at Stanford University who inspected DPRK sites on behalf of UN inspectorates this week confirmed he had seen thousands of nuclear centrifuges as well as gleaned techniques which Pyongyang uses to circumvent sanctions in order to make pin money in exports to any fascist murder gang or brutal State which wants to buy. Yet, as the above Youtube footage shows, nukes are not exactly needed wreak to havoc across the 38th. The screams of terror of islanders on Yeon Pyeong-do can be heard as they today endured a prolonged artillery barrage from the Korean People’s Army, and KPA big cheeses have boasted of having thousands of missiles pointed at Seoul: nukes are more likely to be reserved to irradiating Pusan to forestall American landings from Japan. A number of civilians have been killed, as well as Korean Marines. Today’s events definitely are exponentially worse than the Take Your Son to Work exercise which was the sinking of RoKS Cheonan in May of this year, in which 46 sailors died. 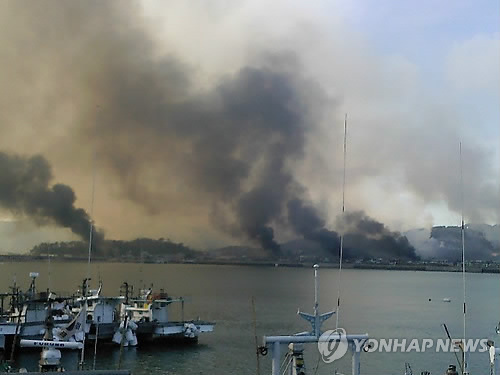 Worse even than the 1996 Gangneung Submarine Infiltration, in which 12 RoK military personnel and four civilians died. This is perhaps the most serious incident since the 1953 ceasefire. I wrote previously about attempts by the screaming-at-mice brigade to browbeat a 91 year old man into submission. The 91 year old man was Pete Seeger, who had had the temerity to agree to perform in an online concert for With Earth and Each Other, a micro-level activism group for cooperation between different nationalities and ethnicities in the Middle East; and connected to Arava Institute (which, amongst others, had successfully challenged the IDF’s blanket ban on student visas from Palestinian Territories), and the free-thinking Jewish National Fund. Attempts at McCarthyite control (which Seeger had seen-off almost 60 years ago) ensued on a Facebook page set-up by one of Seeger’s fans, including regular cuts ‘n pastes from Jeff Halper of the Israeli Committee Against Home Demolition. Any domestic action group against zoning violations and planning permission disputes is not to be discouraged, but as far as I could see, Halper is supportive of a all-level boycott against Israel to ‘embarrass’ her in ways not applied to any other country and its social structures. Typical responses from the screamers-at-mice was that they would support any boycott if it were called for whichever disenfranchised group was being discussed. Quite apart from their guaranteed ignorance of the human plights in the named countries, it raises the question of how far this Yasmin Alibhai-Brown style moral purity test would go. Possibly leaving the only individuals and countries worthy of receiving international trade and cultural/academic exchange being themselves, Costa Rica, the Principality of Sealand and a mangy dog (until, that is, Sealand was expelled for its role in the guillemot genocide, and Costa Rica for the oppression of the macadamia nuts community). Plus, if I am correct about Halper’s position, he goes from ultimately good intentioned in my eyes to a malign influence in that he would avail himself of the comforts and benefits of living in Israel whilst ostracizing those who disobey him. As the Chancellor of Haifa University said to Ilan Pappe, perhaps he should boycott himself. Alas, despite their best efforts to cling to an unmoderated and, until they arrived, unread Facebook fanpage, it all came to nowt, as the online concert with Seeger’s performance went ahead on 14 November (as shown on the Facebook page for With Earth and Each Other). Having failed to force Jethro Tull and LCD Soundsystem, they now have failed with Pete Seeger. For the next time, Bohica. … when James Blunt saves it. Sitting with my lawyer in Beirut last week, the meeting was interrupted by a call from one of his clients in Paris. After an interminable conversation in Arabic, the lawyer handed the phone to me. “It’s an honour to talk to you, comrade Galloway. This is Commander Carlos, the political prisoner in Paris,” he said. As I began to calibrate just how many lights were now going on in the secret services of half a dozen countries, I felt the need to sit down. Much of the national press is carrying reports of a Wick native, James Ross who has escaped from a fortnight of captivity in Portugal, during which he had been subjected to mutilation-torture. It appears that he had travelled to Portugal in connexion to a substantial drug-related which he hoped to settle through indentured work after threats against his family. For whatever reason, this was not accepted and, after missing-report reports to Wick Police, contacts were made with their Portuguese counterparts. On 15 October, some gang-members were arrested by Portuguese Police. Although the investigation geared itself towards body-recovery, it appears the arrests panicked the rest of the gang into releasing Ross who then flagged down a passing driver near the village of Boliqueime.